How can I change my personal profile information? 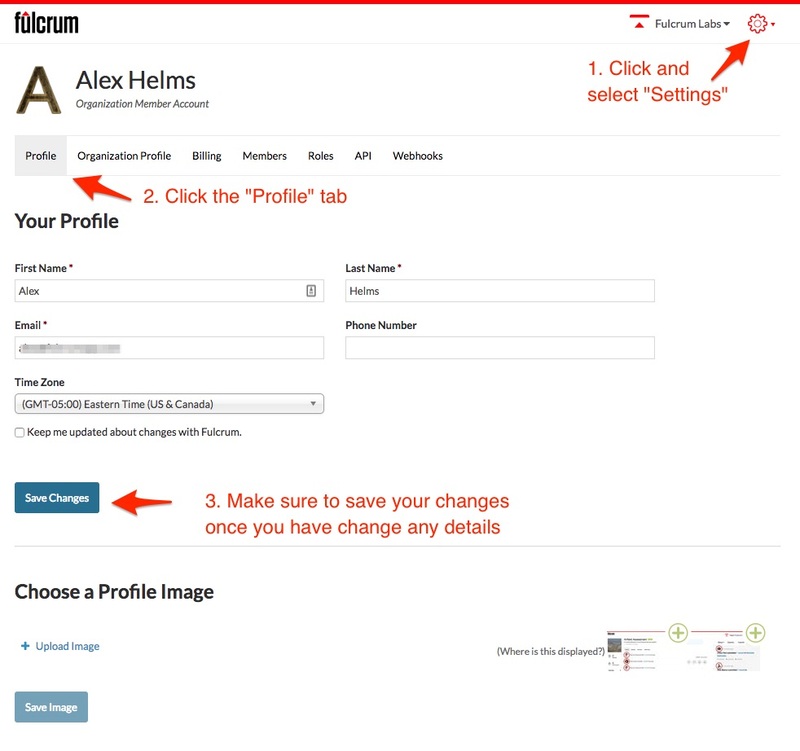 Changing your personal profile information can be done by logging into the Fulcrum web app . Make any changes you wish, including your first and last name, account email, preferred time zone, icon, and password. Make sure to select the appropriate save button once you have made any changes. Note: You will only be able to change the email address for your user account to a email address that is not associated with another Fulcrum user account.